Imagine for a moment that you are a blind attorney and a human rights defender. Over the years you have been subjected to harassment, beatings, arbitrary detentions, death threats, attacks with substances, torture and one colleague died under circumstances that lead you to believe he was murdered by the government. After delivering a report to the Office of the United Nations Human Rights Commissioner in 2009 for Cuba's universal periodic review the repression worsened. Together with your wife, Tania Maceda Guerra, and six other activists in Ciego de Avila, your home town, you are distributing "Voz Avileña", a bulletin that you publish on January 9, 2014 at 10:35am.
" I carried in my hand a copy of the newsletter "The Avileña Voice" there was a very large state security operative and they demanded that we will give them the newsletter. When I refused and we eight activists sat on the ground, and began to shout, " Freedom", "Long live human rights" and "Down with Fidel ". Military troops reinforcements arrived and they beat us up. We were taken by car to the First police headquarters. During the trip a police officer pulled my wife's hair and bit her hands. 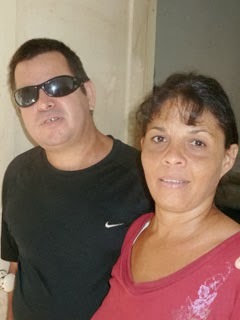 I responded to the police officer with another bite and then the official gave me a savage beating to the point that it made ​​me lose consciousness. They hit me so many times that I have both the right foot and index finger of the left hand broken. I have aches and bruises throughout my entire body . To all the activists who were with me Junior Ortega Rivero, Daniel Camacho Marchena, Daniel Martínez, Alberto Pla Risco, Quintana Sarría and others that were with me, all were violently beaten and dragged away were also detained. Without any explanation all were released around 3:00pm in the afternoon." 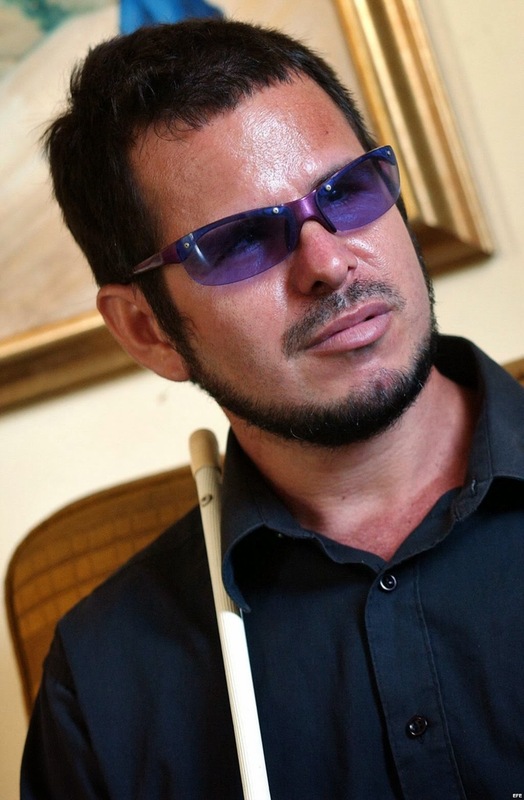 Amnesty International is concerned for the health of Juan Carlos González Leiva, a 37-year- old blind lawyer, held in Holguín prison in Holguín Province, Cuba. He reportedly suffers from chest pain, high blood pressure and a ‘nervous condition’ (of which Amnesty International has no further details). The prison doctor reportedly told him that there is nothing wrong with him. In addition, he claims to have received threats from his cell mate, who has said that he will beat him. Juan Carlos González Leiva reportedly had to have four stitches in his head as a result of the police aggression on his arrest on 4 March 2002. Amnesty International received reports that initially medical attention was denied to him although he was in severe pain. He spent 20 months in prison and managed to get letters out to denounce prison conditions. Released from prison, following an international campaign for his release, he would continue his human rights work. Despite the constant war waged against him by the state security apparatus to break him, Juan Carlos González Leiva has remained in Cuba and continues to work to make the ongoing human rights violations known to the world.